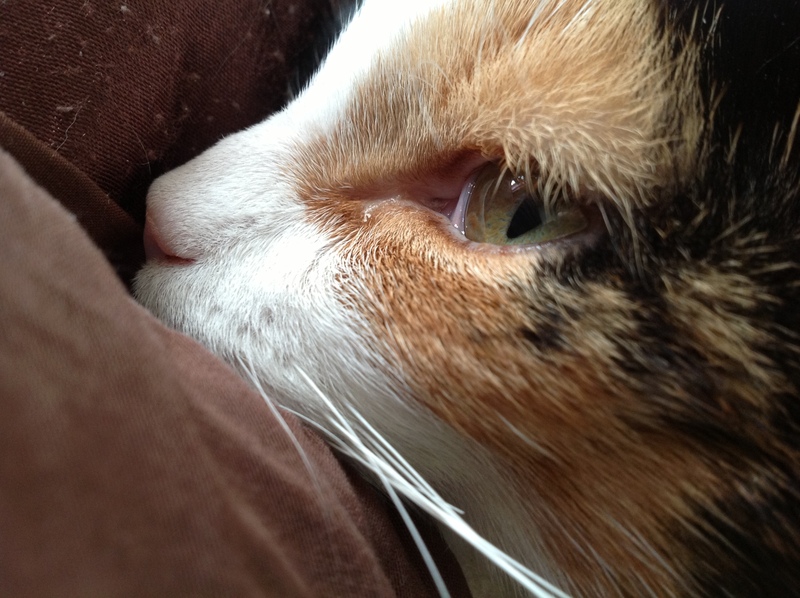 A busy day here, my sweet kitty Callie is home from the animal hospital and recovering slowly but surely and it’s Mother’s Day. My mom came over for brunch and to visit with Callie. We had one of her favorite menus for the special day. Fried chicken & waffles, tall cocktails of grapefruit juice, vodka and tonic over ice and strawberry shortcake for dessert. 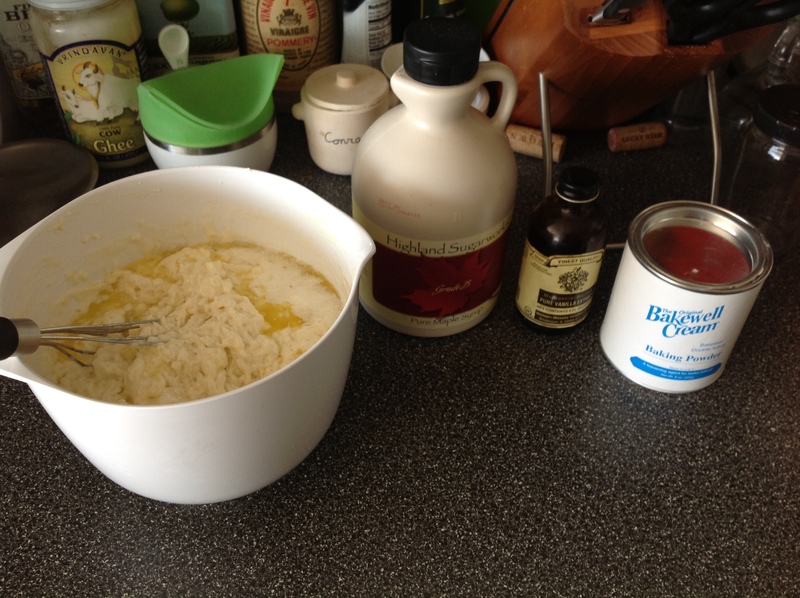 Here’s the recipe for the buttermilk waffles, which have maple syrup in the batter. Preheat waffle iron. Whisk together flour, sugar, baking powder and salt in a small bowl, set aside. Beat eggs in large bowl with whisk or fork until fluffy. Beat buttermilk, maple syrup and vanilla into the beaten eggs, just to combine. 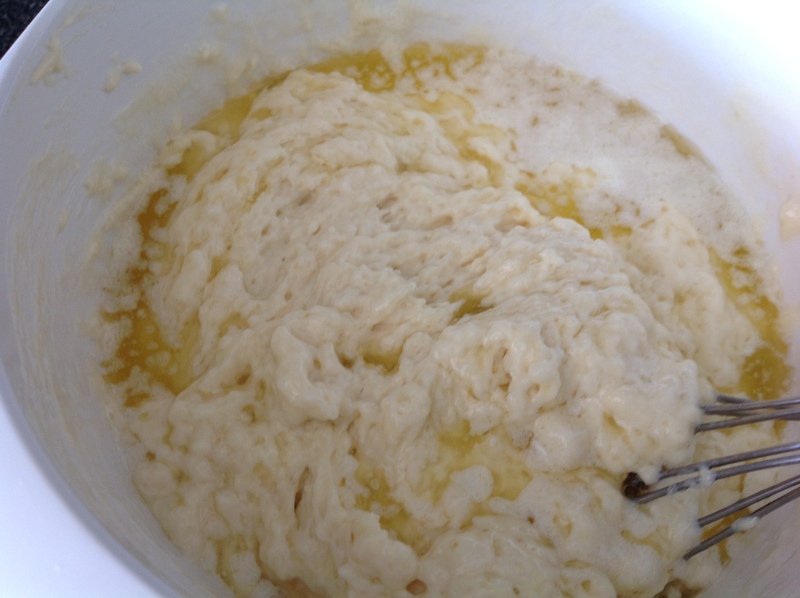 Gradually beat the buttermilk mixture into flour mixture, just until smooth, then beat in the melted butter. 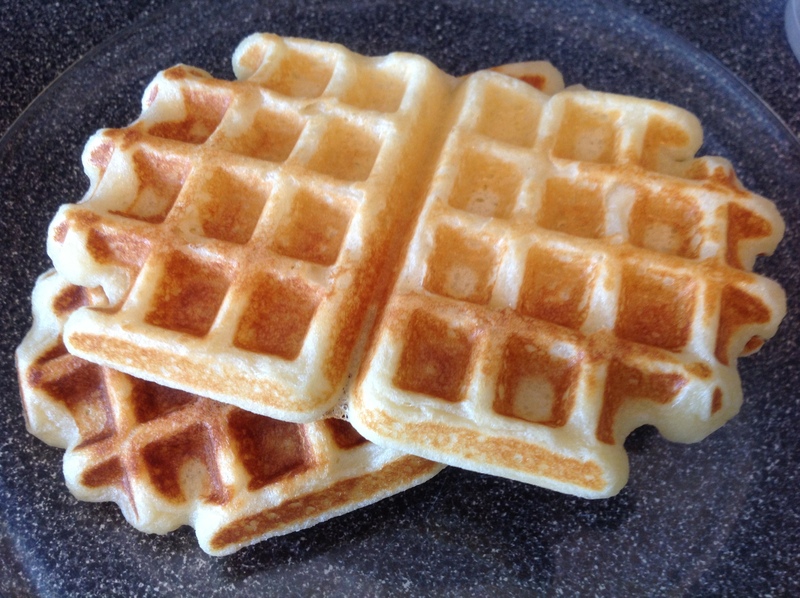 Let batter sit for at least 30 minutes (the finished waffles will be less grainy).